Year after year, Gold Don’t Quit — and the 2019–2020 season is no exception. We’re putting the ball in your court with two winning ticket plans: Full Season (all 43 home games) or Half Season (21 or 22 home games). Plus, you could get other perks with your plan, like ticket discounts and savings on Pacers gear. You'll enjoy the best benefits we offer like access to VIP events, the best ticket pricing, and guaranteed Playoff tickets for every home game. 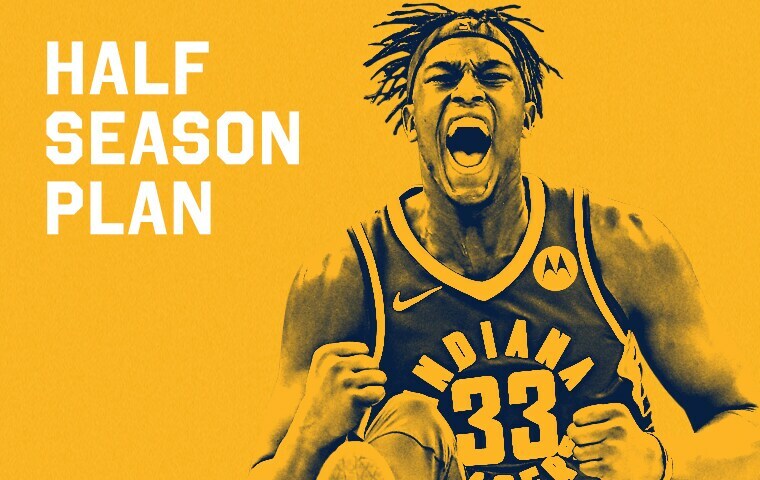 You’ll save money over the single-game price, get great benefits like Pacers Gear at a discount, and guarantee yourself Playoff tickets for half the home games. Not quite ready? Want to talk to someone first? 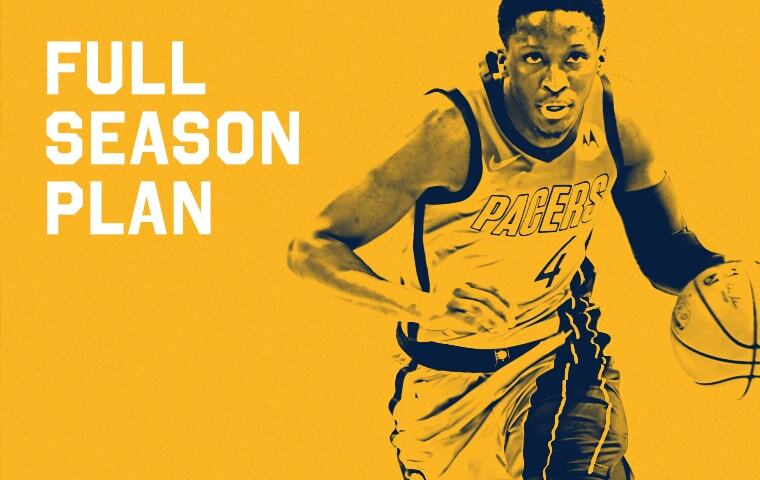 Feel free to look around as much as you like, fill out this form to have us contact you at a convenient time, chat online with a Pacers ticket representative, or give us a call at (317) 917-2827. We're looking forward to talking with you!